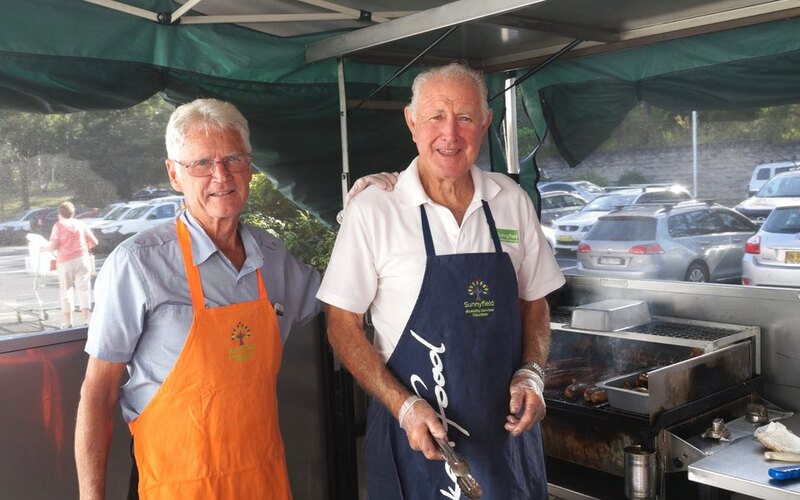 The Sunnyfield Members Auxiliary have held barbecues at Bunnings Belrose every month since August 2012. In that time they have raised over $34,000 which has funded new chairs at Enterprises, a bathroom upgrade, white goods, Christmas gifts and more. A lot of work takes place behind the scenes to make these barbecues a success, including countless hours prepping sausages, cutting up onions and purchasing supplies. A big thank you to all members of Sunnyfield Auxiliary for your commitment and dedication. We really appreciate all of your hard work for people with disability! Sunnyfield Members Auxiliary is made up of: John Cavanagh, David Downes, Peter Fishburn and Anne O’Connell, John and Sue Garland, Chris and Cynthia Howells, Deb Hunter, Mike Mabbott, Brien and Janice Mendham, Frank Renwick, Julian and Sandy Smithers.